E-City is one of UAE's leading electronics retail store chains that sells top brands of notebooks, tablets, smart phones, Televisions, Cameras, Gaming products & accessories . 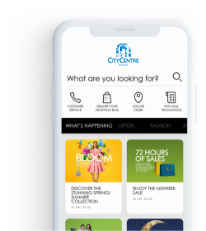 E-City goes beyond just selling products, and offers a smart shopping experience in an environment that is uncluttered and trendy. It offers professional in-store and home repair services too!